2004 Chevrolet Blazer LS Cable Dahmer Gold Certified comes with 5 years or unlimited mileage coverage at no additional charge. Be worry free till 23! Cable Dahmer has you covered for 5 years from purchase date or unlimited mileage power train warranty coverage. Call us and ask about details! Serving Kansas City, Olathe, Overland Park, Lee's Summit, Raymore and Grandview since 1963! 2010 Ford Flex SEL Comes with these Great Features ..... We also have in house financing to make your purchase easy and simple ......, Hablamos Espanol, 3rd Row Seats, Rear Park Assist, Steering Wheel Controls, Power Seat, Over 700 Used Vehicles In Stock, Guaranteed Credit Approval,Over 20 Banks and 11 Credit Unions, Rear View Camera, LEATHER SEATS, Automatic, Cruise Control, Power Windows and Locks, CD Player, Remote Entry, USB Port, Alloy Wheels, Local Trade - In. Contact us online or give us a call at (866) 918-1427 to have your questions answered, obtain a price quote for this vehicle, or schedule your test drive today. Proudly Serving Blue Springs, Raytown, Lee's Summit and the Greater Kansas City Metro Area Since 1963! Located at 1834 S. Noland Road on the "Miracle Mile". 6 Speakers,AM/FM radio: SiriusXM,Audio Jack Input for Mobile Devices,CD player,MP3 decoder,Radio data system,Radio: Uconnect 4.3S CD/MP3,Remote USB Port,SIRIUS Satellite Radio,Air Conditioning,Front dual zone A/C,Rear window defroster,Power steering,Power windows,Remote keyless entry,Steering wheel mounted audio controls,Four wheel independent suspension,Normal Duty Suspension,Speed-sensing steering,Traction control,4-Wheel Disc Brakes,ABS brakes,Anti-whiplash front head restraints,Dual front impact airbags,Dual front side impact airbags,Front anti-roll bar,Knee airbag,Low tire pressure warning,Occupant sensing airbag,Overhead airbag,Rear anti-roll bar,Brake assist,Electronic Stability Control,Delay-off headlights,Front fog lights,Panic alarm,Speed control,Bumpers: body-color,Heated door mirrors,Power door mirrors,Roof rack: rails only,Compass,Driver door bin,Driver vanity mirror,Front reading lights,Illuminated entry,Outside temperature display,Premium Cloth Low-Back Bucket Seats (E5),Rear reading lights,Rear seat center armrest,Tachometer,Telescoping steering wheel,Tilt steering wheel,Trip computer,Front Bucket Seats,Front Center Armrest,Split folding rear seat,Passenger door bin,17" x 6.5" Aluminum Wheels,Rear window wiper,Speed-Sensitive Wipers,Variably intermittent wipers,4.28 Axle Ratio,Cable Dahmer Gold Certified makes you worry free until 2023 with Unlimited Mileage coverage! 2009 Volkswagen Tiguan S Want to know more? Call or text us at (816) 307-1603 to chat about this vehicle! Located at Lees Summit Kia 400 NE Colbern Rd Lees Summit MO 64086 Call for a free test drive. Clean CARFAX. New Price! Cable Dahmer Kia is available online or give us a call/text at (816) 307-1603 to have your questions answered, obtain a price quote for this vehicle, or schedule your test drive today. Cable Dahmer Kia is happy to serve all Independence, Lees Summit, Blue Springs and the Kansas City Metro area residents from our new and used car Kia dealership. 6 Speakers,AM/FM CD, 6-Disc, MP3,AM/FM radio,Audio memory,CD player,Radio data system,Air Conditioning,Automatic temperature control,Front dual zone A/C,Rear window defroster,Memory seat,Pedal memory,Power driver seat,Power steering,Power windows,Remote keyless entry,Steering wheel mounted audio controls,Normal Duty Suspension,Traction control,4-Wheel Disc Brakes,ABS brakes,Dual front impact airbags,Front anti-roll bar,Front wheel independent suspension,Low tire pressure warning,Occupant sensing airbag,Rear anti-roll bar,Delay-off headlights,Front fog lights,Panic alarm,Security system,Speed control,Heavy-Duty Engine Cooling,Auto-dimming door mirrors,Bodyside moldings,Bumpers: body-color,Heated door mirrors,Power door mirrors,Roof rack,Adjustable pedals,Auto-dimming Rear-View mirror,Compass,Driver door bin,Driver vanity mirror,Front reading lights,Garage door transmitter: HomeLink,Genuine wood console insert,Genuine wood dashboard insert,Genuine wood door panel insert,Illuminated entry,Leather steering wheel,Outside temperature display,Overhead console,Passenger vanity mirror,Rear reading lights,Rear seat center armrest,Tachometer,Tilt steering wheel,Trip computer,Front Bucket Seats,Front Center Armrest,Leather Trimmed Bucket Seats,Power passenger seat,Split folding rear seat,Passenger door bin,Alloy wheels,Rain sensing wipers,Rear window wiper,Speed-Sensitive Wipers,Variably intermittent wipers,3.73 Axle Ratio,Cable Dahmer Gold Certified makes you worry free until 2023 with Unlimited Mileage coverage! 2005 Jeep Grand Cherokee Limited This car comes with a 2 week exchange guarantee! Clean CARFAX. Power sunroof, Heated leather seats, Navigation system with rear vision camera, Rear park assist, Bluetooth hands-free calling, Local Trade - In, HEMI 5.7L V8 Multi Displacement, 4WD, Electronic Stability Program, Heated Front Seats, Power Sunroof, Quick Order Package 25K, SmartBeam Headlamps, Uconnect Hands-Free Communication. Come in today and experience the Cable Dahmer difference! Where else can you get a 5-year UNLIMITED Mileage Warranty on nearly every car on the lot?? We offer a two-week exchange policy on nearly all pre-owned vehicles, free loaners while you wait, free Missouri state inspections and much more! 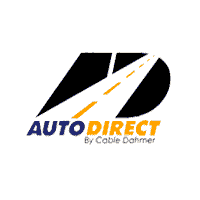 Cable Dahmer Cadillac of Kansas City is located at 1151 West 104th Street Kansas City MO 64114 . Call, chat or come by today! Call Lucy at 816-541-5420. 6 Speakers,AM/FM CD MP3 w/SIRIUS Satellite,AM/FM radio: SIRIUS,CD player,Radio data system,SIRIUS Satellite Radio,Air Conditioning,Rear window defroster,Power driver seat,Power steering,Power windows,Remote keyless entry,Normal Duty Suspension,Traction control,4-Wheel Disc Brakes,ABS brakes,Dual front impact airbags,Front anti-roll bar,Front wheel independent suspension,Low tire pressure warning,Occupant sensing airbag,Overhead airbag,Rear anti-roll bar,Brake assist,Electronic Stability Control,Delay-off headlights,Panic alarm,Speed control,Bodyside moldings,Bumpers: body-color,Heated door mirrors,Power door mirrors,Compass,Driver door bin,Driver vanity mirror,Front reading lights,Illuminated entry,Outside temperature display,Overhead console,Passenger vanity mirror,Rear reading lights,Tachometer,Telescoping steering wheel,Tilt steering wheel,Trip computer,Cloth Low-Back Bucket Seats,Front Bucket Seats,Front Center Armrest,Split folding rear seat,Passenger door bin,Alloy wheels,Rear window wiper,Speed-Sensitive Wipers,Variably intermittent wipers,3.07 Axle Ratio,Cable Dahmer Gold Certified makes you worry free until 2023 with Unlimited Mileage coverage! 6 Speaker Audio System Feature,6 Speakers,AM/FM radio: XM,CD player,MP3 decoder,Radio data system,Radio: AM/FM Stereo w/CD Player & MP3 Capability,XM Radio,Air Conditioning,Manual Climate Control,Rear window defroster,Power driver seat,Power steering,Power windows,Remote keyless entry,Steering wheel mounted audio controls,Four wheel independent suspension,Speed-sensing steering,Traction control,4-Wheel Disc Brakes,ABS brakes,Dual front impact airbags,Dual front side impact airbags,Emergency communication system,Front anti-roll bar,Low tire pressure warning,Occupant sensing airbag,Overhead airbag,Rear anti-roll bar,Brake assist,Electronic Stability Control,Delay-off headlights,Fully automatic headlights,Panic alarm,Security system,Speed control,Bumpers: body-color,Heated door mirrors,Power door mirrors,Roof rack: rails only,Spoiler,Compass,Driver door bin,Driver vanity mirror,Front reading lights,Illuminated entry,Inside Rear-View Manual Day/Night Mirror,Outside temperature display,Passenger vanity mirror,Premium Cloth Seat Trim,Rear seat center armrest,Tachometer,Telescoping steering wheel,Tilt steering wheel,Trip computer,Deluxe Front Bucket Seats,Front Bucket Seats,Front Center Armrest,Split folding rear seat,Passenger door bin,Alloy wheels,Rear window wiper,Variably intermittent wipers,3.23 Axle Ratio,Cable Dahmer Gold Certified makes you worry free until 2023 with Unlimited Mileage coverage! 2007 Ford Edge SEL Plus Comes with these Great Features ..... Clean CARFAX. We also have in house financing to make your purchase easy and simple ......, Hablamos Espanol, No Accident CarFax, No Hassle Pricing, Rear Park Assist, Steering Wheel Controls, Power Seat, Over 700 Used Vehicles In Stock, Guaranteed Credit Approval,Over 20 Banks and 11 Credit Unions, LEATHER SEATS, XM Radio, Automatic, Cruise Control, Power Windows and Locks, CD Player, Remote Entry, USB Port, Alloy Wheels, Includes Unlimited Mileage Powertrain Warranty until 2023. Contact us online or give us a call at (866) 918-1427 to have your questions answered, obtain a price quote for this vehicle, or schedule your test drive today. Proudly Serving Blue Springs, Raytown, Lee's Summit and the Greater Kansas City Metro Area Since 1963! Located at 1834 S. Noland Road on the "Miracle Mile". 2012 Dodge Durango Crew Cable Dahmer Gold Certified comes with 5 years or unlimited mileage coverage at no additional charge. Clean CARFAX. Priced below KBB Fair Purchase Price! Be worry free till 23! Cable Dahmer has you covered for 5 years from purchase date or unlimited mileage power train warranty coverage. Call us and ask about details! Serving Kansas City, Olathe, Overland Park, Lee's Summit, Raymore and Grandview since 1963! This Rogue Comes With Leather Heated Front Bucket Seats, Alloy Wheels, All Wheel Drive, And Much More !!!!!!!!! Call Us At (816) 941-0555 To Chat About This Vehicle! Located At 555 W 103RD ST Kansas City MO 6411 *** Experience the Cable Dahmer of Kansas City Difference *** BE WORRY FREE! Call us and ask about details! Serving Kansas City, Olathe, Overland Park, Lee's Summit, Raymore and Grandview since 1963!